“Earn it, Keep it, Grow it.” This is the motto at the Center for Strong Families, a United Way of Pierce County initiative that helps families elevate their economic situation through an innovative two-pronged approach. Offering both employment coaching and financial counseling, the Center for Strong Families helps its clients get a bird’s eye view of their financial picture. By looking at both sides of an economic equation, the program provides clients tools to help grow their careers and confidently manage their income. While its client base varies, the Center for Strong Families focuses its efforts toward assisting “A.L.I.C.E.” families, which stands for Asset Limited, Income Constrained, Employed. A.L.I.C.E. families are those who live above the poverty line, but whose income still may not be enough to cover their basic needs. An A.L.I.C.E. family’s circumstances can vary – they may live paycheck to paycheck, lack emergency savings, or their rising costs may be beginning to eclipse their wages. A 2016 study by the United Way of Pierce County reveals that 31% of families in Pierce County fit that definition. And while the cost of living in Pierce County continues to skyrocket, that number is only expected to grow. 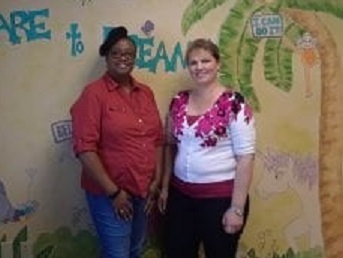 Both women agree that a key to the Center for Strong Families’ success is its comprehensive approach. “We’re a whole person concept, and a whole family concept,” explains Lynn. 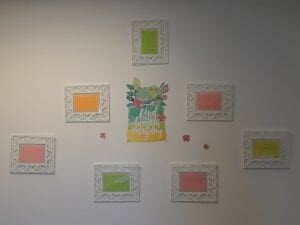 And she adds, “We’re a no judgment zone.” Which is important, since their work can get into sensitive subject matter. Lynn and Silke know that it’s not always easy to discuss finances, and they help clients navigate these vital conversations by breaking things down step-by-step. They start by giving clients a financial health assessment and making sure they are connected to any income supports they qualify for. From there, Lynn and Silke help clients consider the factors unique to their situations, from whether they should consider refinancing a vehicle to looking for more local employment options to cut down on commuting costs. Since launching in June 2017, the Bethel Center for Strong Families has served 91 families and been able to increase services from once a week to Monday-Friday. They’ve administered over 600 financial counseling sessions, 500 employment coaching sessions and helped clients raise their credit scores by an average of 35 points. But for Lynn and Silke, the most important changes can’t be measured in numbers. “The touch point for us is the behavior change,” says Lynn. By getting a comprehensive view of where they’re at financially, they see their clients walk out with strong habits and feeling empowered to make the best decisions for their individual situations. 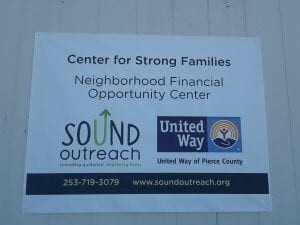 The Bethel Center for Strong Families is located at 215 166th Street S, Portable 5 in Spanaway. For more information or to schedule an appointment, call 253-719-3609 or email silke@soundoutreach.org. To learn more about other Center for Strong Families sites, you can also visit the United Way of Pierce County’s webpage.